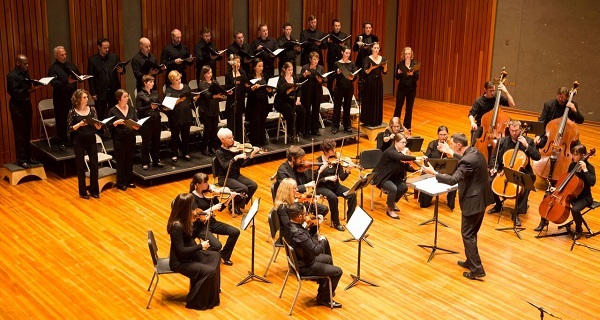 On September 11, the Tucson, AZ-based ensemble True Concord Voices and Orchestra travels to Lincoln Center’s Alice Tully Hall to present the New York premiere of Stephen Paulus’ Prayers and Remembrances, led by music director Eric Holtan. Commissioned by True Concord (formerly known as Tucson Chamber Artists), Prayers and Remembrances received its world premiere on September 11, 2011, as the Tucson Symphony joined the choral ensemble in a program paired with the Mozart Requiem. Prayers and Remembrances was written as a 10th-anniversary memorial of the 9/11 tragedy, in which several members of the local-Tucson community were lost. The seven-movement work features various reflections including the writings of St. Francis of Assisi, Percy Bysshe Shelley, William Blake, and traditional Navajo prayers and Hebrew texts. True Concord repeats their premiere program for its New York debut concert. Stephen Paulus attended the premiere, and during a pre-premiere chat, he noted, “The idea for Prayers and Remembrances began with Eric Holtan. He approached me a few years back with a vision of writing a commemorative work for chorus and orchestra…My concern was to write a [piece] that would not only honor the 9/11 tragedy and all those who perished, but also one that would address the memories, the grieving and the recovery for anyone dealing with a circumstance in which loved ones had perished. 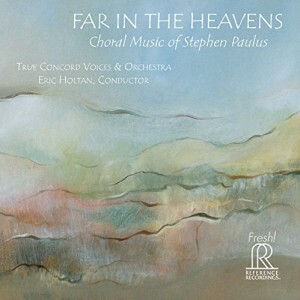 Coinciding with True Concord’s New York premiere of Prayers and Remembrances is the world launch of the ensemble’s new release “Far in the Heavens: Choral Music of Stephen Paulus” on Reference Recordings (FR-716). The all-Paulus disc offers world premiere recordings of all the featured works including: Prayers and Remembrances, Nunc dimittis, The Incomprehensible, I Have Called You By Name, Little Elegy, and When Music Sounds. To listen to a pre-release sampler, visit Reference Recordings here.